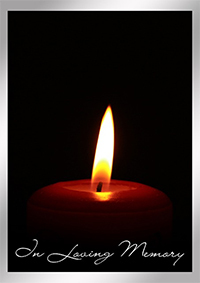 Don Catchen & Son Funeral Homes 3525 Dixie Hwy Elsmere, KY 41018 Feb. 12, 2 p.m.
Marion Rose Caseldine passed away February 9, 2019 at the age of 83. She is survived by her sister Joan Bush, her nieces Connie McKenzie and Gail Burch, and her nephew, Don Tobergte. Also a host of other family and friends whom she loved. She was a member of the Constance Brethren Church. She graduated from Hebron High School, Miller Business School and the University of Cincinnati. She worked as a corporate secretary for Cincinnati Gas and Electric Company where she retired after 40 years of service. Her main interests were playing golf and caring for her dogs, Dolly and Rosie. Visitation Tuesday February 12 from 12-1 with service following. Don Catchen Funeral home 3525 Dixie Hwy, Erlanger KY. Interment Forest Lawn Mausoleum.